Junior Army Members Introduce Yourselves! I know we've got a couple Junior members on here already, so come on in and tell us about you and your horse! What Region are you in? Do you show? What kind of horses and disaplines? And we love pictures of course too! My name is Kaitlyn, Im 17 and next year is my last year as a youth so Im hoping to go to Youth Nationals. 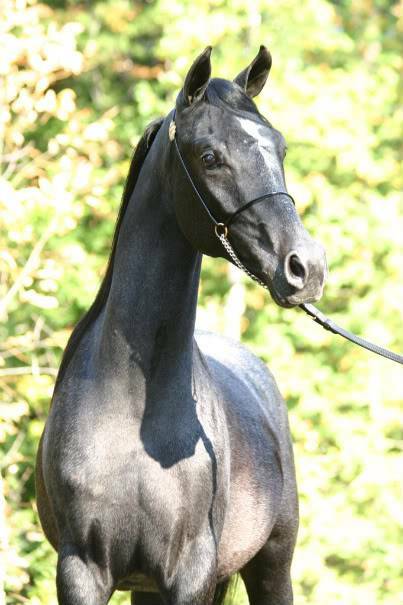 I own a HA mare named SS Basks Encore (Grace) and show her in Western and Halter. We are in Region 3 and have been showing on the Arab circut for the last 2 years. I also train and show two PBs, Del's TF Sir Prize (who will be coming back into the Western ring in a bridle next year!) and Lumena Ellas (who will debut as a junior Hunter). I've worked with many different breeds and Im trying to get training experince in just about everything. 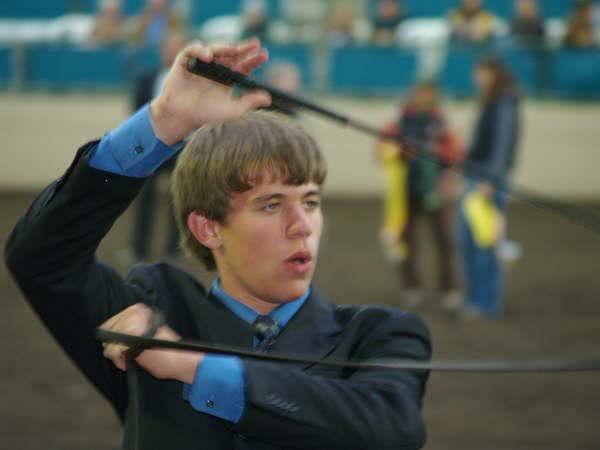 You mostly know me already, but my name is Austin Garrett - I show Arabian horses. They have been a part of my life all my life, and more recently have become the dominant factor. 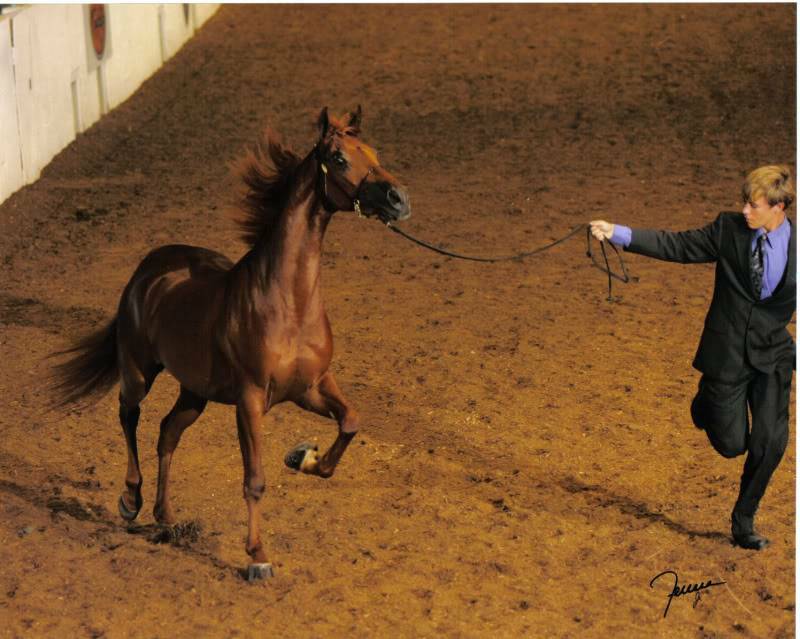 My father, David Garrett, trains horses in mainly the halter discipline, and is also a Vice President of AHA. To be honest, I am probably don't count as a member of the Army, but I support it wholeheartedly. That being said, I'll be doing all I can to preserve my ammy status after I turn 18. I am currently the Youth Director of Region 1, and am working hard to be a valuable part of AHYA. I have recently signed on to be the Youth Activities Chair, and have also signed on to several AHYA committees, so if you ever have ANY ideas, complaints, or suggestions that apply to the Youth, or even AHA as a whole, please drop me a line, and I'll get right back to you. Please if you ever need to/want to talk to me - click on the menagerie of icons below my posts, you will get a hold of me eventually. Well for starters I'm Tash, and I'm from Region 3. 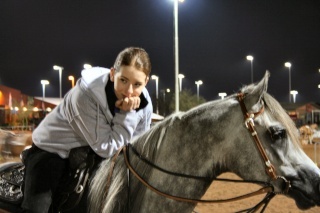 I've been involved with horses my entire life, though I have only been showing Arabians since 2007. 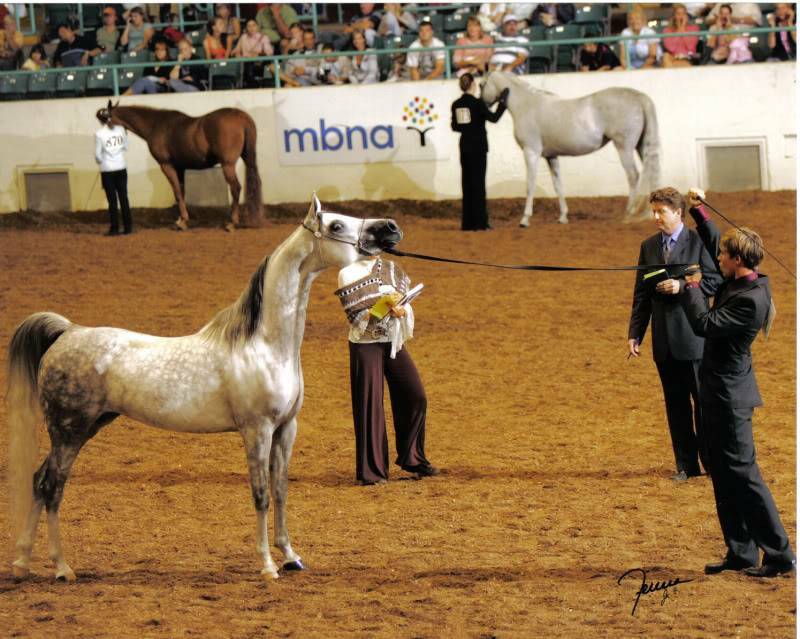 Originally I showed hunter/jumper, but in '04 I began grooming for an Arabian trainer at AHA shows, which is how I feel in love with this breed and the circuit as a whole. I own one horse, a 2002 Purebred gelding named Addicted To Luv (aka Legs) who I show in Hunter Pleasure. I have two more years as a youth left, which I will be guided through by the very talented Cari Thompson. I'll have to come back and add pictures later, I need to find some worth public display first ha. Welcome Austin! Love all the pictures! Welcome Tash! I look forward to meeting you at one of the Region 3 shows, I hang around Cari's barn a lot! Come on, I know we've got more Youth then this! Justin? Katy? Okay, I'll go. First I'll start by saying that I only just joined this forum yesterday, haha. My name is Eliza and I'm 14 years old. I live in Region 18, and show regions 16 & 18. I own two horses, an '04 HA gelding Bee's Most Wanted (Beamer) and an '06 HA gelding Bee's Grand Finale (Chilli). I only show Beamer, and this summer will begin training Chilli. Chilli and another friend's PB mare live at home with us, and Beamer is boarded. 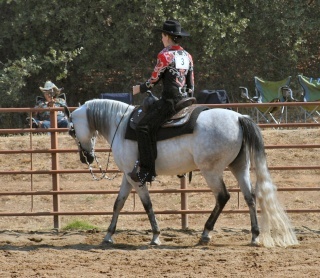 I've been "into" Arabians for years, but started out riding QH's when I was about 7 years old. I did Western up (and even showed!) 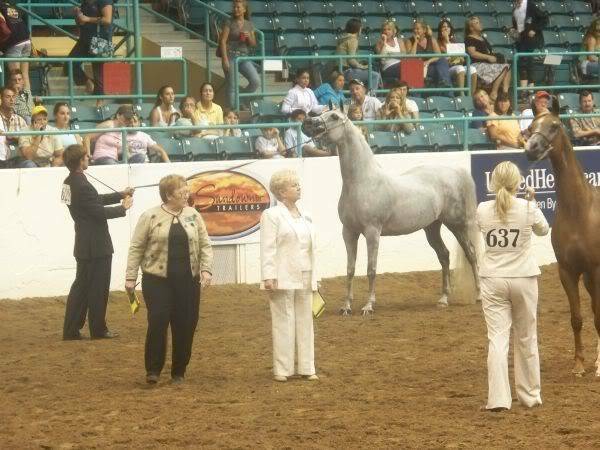 until I switched to an Arab barn (keep in mind we didn't know anything about breeds... I just wanted to ride) and I fell in love. I did a few shows when I was younger but only really got into it last season.  This year I hope to qualify for Regionals in both Regions, and would love to go and watch any Nationals. I show mostly SHIH & SHUS along with Dressage, but will be attempting MR HP this season in Region 18 only. I'm pretty new to showing and know nothing, but am being taught and learning a lot as I go along. I have four youth years left, and hope to enjoy them all! Awesome, great to have you here Eliza! Hi! My name is Haleigh and I live in Temecula, Ca and am in region 1. I just joined today. I have a 18 year old khemo son that I ride in dressage, a nsh that is semi-retired, a half andalusian half arabian that I am showing in hunter pl, an arabian that I am beginning to show in hunter pl and possibly sport horse, plus two andalusians and a rotten mini colt. I am just beginning to show in the arab circuit and I am an active member of the andalusian youth council but arabians are my passion. I will have to post pictures later. Well then, we will have to get in contact! I'm the region 1 Youth director. Are you a member of RCAHA, Haleigh? No, not yet but I need to sign up for membership. I showed in sport horse at the fall show. Kim Christy is my trainer and I started out at Green Acres. Well, I just joined this forum about... 10 minutes ago haha, but anyways, I'm Clara and I'm from region 18 but I show in both region 16 and 18. 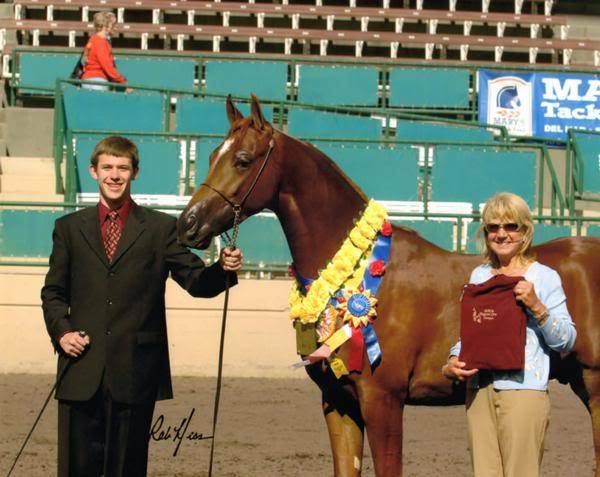 I own Jett S, a 2004 PB gelding, who I showed in gelding halter ATH, SHIH, and Showmanship last year. We also did liberty just for fun at his first show ever- and he won the class! Quite possibly my favourite picture of Jett. Sorry it's so big! Awesome Clara, welcome to the Army! And Haleigh, have we ever met? I know that I've met many of those from Green Acres, I'm very close to Margaret and Kathrine, but I probably have the worst memory ever. I'm going to send you some info on RCAHA - which is extremely active in the Youth programs, and our last few Regional directors in AHYA have come from there! No, I don't think we have met. I haven't been at green acres in about 2 1/2 years. That would be great if you could send me the info. I am on the youth committee for the International Andalusian and Lusitano Horse Association but I haven't gotten involved in any of the aha youth clubs yet. I am a new resident of Maine. This is my first year showing in Region 16. I showed regions 11 and 13 for years, so I'm sure I know some of you guys. I somehow managed to get myself down to just one horse again, my adorable little 9 year old PB mare, August Melody (August Bey V x Hear The Music by MS Santana). I have had her since she was three, and we have done a little bit of EVERYTHING together. 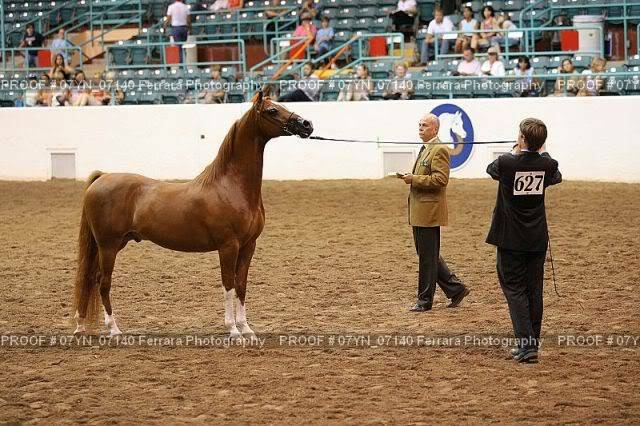 Our main focus is hunter pleasure, but I'm toying with the idea of doing a halter class or two just for kicks. I'm also looking for another country or english prospect. I've been riding for almost my entire life, mostly saddleseat and hunter, but I've spent a fair amount of time riding AQHA HUS, western pleasure, reining, some dressage, hunters and jumpers, and gaming. Sadly, this is my last year showing JOTR. In addition to riding, I do a lot of photography. I work for a record company doing graphic/web design and photography, and eventually I'd like to do horse show photography professionally. OMFGSNOW. hahaha. Says the Cali kid. But where do you live in Maine? I have a friend that recently moved there. Against my better judgement. Haha, snow, great stuff Especially with this being my first year sans-indoor, it was horrible! I do like skiing and snowboarding though, so I suppose I can't really complain. I live in the very southern tip of the state, on the coast and bordering New Hampshire. Do you know where your friend lives? Is this friend a horse person? Hi Marielle! We live super close to one another... I'm literally right beside/above Maine, depending on how you look at it. Are you going to AHANE? If you are... we may see each other there! That's fantastic! I can't wait to meet people in this region You're in NH? AHANE is the June class A show at the Big E, right? If so, yes, I'll be there I'm still working out which show is which in my head and I'm too lazy to look up my calendar. And nope, I'm not in NH haha, I'm one of those good old canucks!! I live in NB haha. Well, I hope to see you at ahane, it's such a good show! The footing in the colliseum is amazing and well, the sport horse ring is kind of terrible, but the stalls are super big and nice, and the show's so big and great. Oh and there's an ice cream social which is pretty much the highlight of the show haha. Oh and to Austin: you think that's alot of snow! You should see it here. The snow in my driveway for 5 and a half feet deep about a month ago. I did the snow thing. I had no love for it. I like Arizona. It was 91 today. Oh, fun If you weren't in NH and you weren't living on a boat on the Atlantic, I figured Canada was the only option left I'm actually from Ontario, but we moved to the states quite a few years ago. I'm so excited for this show. I have no idea whether we'll be ready in time or not for the HVAHA show, but if we're not, I want to go down just to check out the Big E and see what it is like. I'm relieved to hear it's a nice place, I would hate to travel all the way down there for a cruddy show. How are the class sizes? I'm guessing the PB hunter classes are pretty deep... what about JTH halter? Yeah, I really do love the snow (I have found it to be rather difficult to ski and snowboard without it), but at around this time of year, it is kind of depressing to still have leftover snow on the ground in some places. I live on the coast so everything is finally thawed out, but up at my barn there's still some of that brown, cold stuff on the ground. Ick! Not having an indoor arena out here is pretty painful too, I was spoiled when I lived in Indiana, and even more so when I lived in Arizona and Maryland where we rarely got snow at all. Welcome to all of our new(ish) youth members! Marielle - I actually have a friend located in Wells, Maine. Not sure how close that is to you, but she is currently horseless and looking for a trainer to take lessons with in that general area. 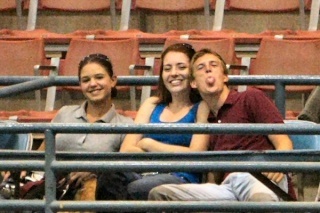 So if you know of any trainers/barns you feel comfortable recommending, I’d appreciate the info! I love skiing, but hate the snow. I'd be perfectly happy if there was no snow at all. Today it was..... 44. And we thought it was hot. I actually wore my birkenstocks to school without socks, and I said so many people with bare legs. I didn't even wear a jacket haha. Oh how I long for the heat. I hear ya! It has been in the low 50s here lately and I'm so excited to be able to wear T shirts outside again I went to the beach a few weeks ago! And then, of course, just to spite me I think, we got a blizzard the next day that dumped another foot of snow on us just when I thought it was melting. Subject: Re: Junior Army Members Introduce Yourselves!